While great effort is made to ensure the accuracy of the information on this site, errors do occur so please verify information with a customer service rep. This is easily done by calling us at 888-690-3375 or by visiting us at the dealership. East Bay BMW is a member of the Hendrick Automotive Group. 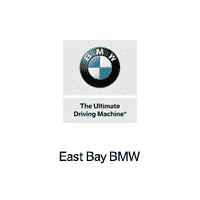 East Bay BMW is a premier full-service dealer offering a suite of BMW services-New BMW Sales, Certified Pre-Owned Sales, Pre-Owned sales, Finance, Detail, Service, and Parts. Excellence doesn’t cost more it just feels better. East Bay BMW	37.700249, -121.876907.